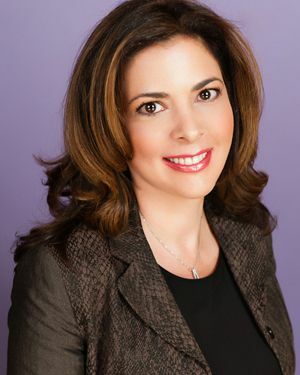 Dr. Lydia Kalsner-Silver received her doctoral degree in Counseling Psychology from Rutgers University with an emphasis on adolescent and family psychology. She also completed two Masters Degrees from Columbia University including an M.A. in Organizational Psychology and an M.Ed. in Counseling Psychology. Her clinical internship was at the University of Miami's Jackson Memorial Hospital, where she received specialized training in working with children, families and couples. In addition, she completed a post-doctoral year at Jackson Memorial Hospital where she focused on treating at-risk teens and their families. Dr. Kalsner supervised interns in psychology and was an adjunct faculty member at the University of Miami School of Medicine were she taught medical students in a clinical skills program. While at Rutgers University, she was also an instructor, teaching multicultural understanding to both undergraduate and graduate students. Dr. Kalsner has worked in hospital, college counseling centers, as well as private and public school settings. Dr. Kalsner has received specialized training in both pediatric and adult psychological testing, including the assessment of learning disabilities, behavioral problems and Attention Deficit Disorder. Dr. Kalsner works on issues such as depression, anxiety, childhood phobias, anger management and family conflict in both children and adults. Her professional interests are psychotherapy with children and families, as well as marriage and couples therapy. 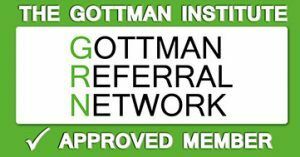 Dr. Kalsner is currently the first and only certified Gottman Couples Therapist in both Miami-Dade and Broward Counties. She is one of only four certified Gottman Couples Therapists in the State of Florida. Dr. Kalsner works with complex relationship issues and couples in crisis that may be struggling with infidelity, high conflict, separation, and post-divorce problems including the challenges of raising children in blended families. Dr. Kalsner has lectured and published in various subject areas, including college student adjustment, child development, parenting issues, romantic attachment, and career choice. Her treatment approach utilizes an integrated approach drawing on both cognitive behavioral and psychodynamic modes of treatment. She is a member of Miami's first and only intensively trained Dialectical Behavior Therapy team and has founded a fully DBT adherent program that offers services in both Broward and Miami. Dr. Kalsner is also trained in the newly emerging field of DBT-Child therapy for children ages 7 to 12 who struggle with ADHD, disruptive behavior problems, and self-harm urges. Dr. Kalsner is a former psychologist for the Miami-Dade County public schools. She keeps current with district policies and resources along with options available at area private, parochial, and charter schools. She is a member of the Dade, Florida and American Psychological Associations. Dr. Kalsner works out of the both the Miami Beach and Weston Offices.